Can Philosophy be the Magic Bullet against Corruption? The fight against corruption in Africa, and particularly in Kenya, seems to have run out of breath. This is not because the war has been won. No, it is because nothing seems to work out. First, it was thought that strict legal provisions and tough laws would help. That is yet to deliver. At some point, it was thought that working systems would help it; this again, seems not to yield much. Then all the fingers were turned at the Education system. Curriculum reviews have been made, and new materials introduced. Again this seems to have nothing to show for it. What else shall we do? No one seems to have an idea. But philosophers think they have something to offer- a magic bullet, for that matter. In a Philosopher’s Breakfast held at Strathmore University on 18th October,2018, it emerged that Corruption is perhaps more complicated than we think. The history of corruption dates back to the Colonial times, when merit did not count, but the colour of one’s skin. This, perhaps, brought a feeling of deprivation among the Africans, and when the regime changed, nothing else changed-only rhetoric. The first leadership might have lost the opportunity to set off Kenya on a corruption-free gear. This situation was not made any better by the subsequent leadership. Now, the country seems to have reached a steep slope, where everyone’s blood seems to have a patch. The ill is now entrenched so deeply. Deeply to a point that one points fingers at the corrupt leadership, yet in one’s own capacity, does ‘simple’ corrupt deals, and doesn’t feel as corrupt as the leaders, who they point fingers at. We have lost the sense of corruption and, in all honesty, we don’t know what it is. The media tries to tell it to us in figures of lost billions, that makes sense no more. The legal system tells us that it is denied justice. That, too, doesn’t make sense. The philosopher says goes against virtue. Now that is incomprehensible. So, again I ask, what is corruption? Are we annoyed enough to rise up against those who perpetuate corruption? Have we suffered enough as a result of this vice? Well, we are annoyed enough, but so scared, because corruption is the bloodline of the system. It feeds from it, and it is not afraid to rise up and knock you to your grave. When exposed, it acts with excuses and with ruthlessness. It kills, it maims, and it hurts-deep to the bone marrow. Could we have started on a wrong premise? Yes, certainly. The leaders thought of themselves, and those around them lacked something to emulate, and so it spread. Today, it is with us in our bedrooms, in our kitchens and it is calmly resting in our living room. ‘Don’t lose hope just yet…’philosophers say. Use a multiple approach. Let us start from the family(bottom-up approach). Let us educate our children about virtues, and let this be instilled in them. As a parent, increase your capacity to live a virtuous life, and pass it down to the children. Too small an effect? Don’t worry. The ripple effect will get to the corners of the world. Sooner or later. Virtue is at the core of it, and family is our only refuge. Let’s start from there. How will this correct our systems? Ripple effect, I say. How will this bring down the corrupt leaders who are roaming the streets of our country? Ripple effects, I say. How will this penetrate the systems which are so corrupt? Ripple effect, I say. Now, have all the other systems been tried and failed? Will these, your virtue and retreat into the family, succeed? Yes, I insist. 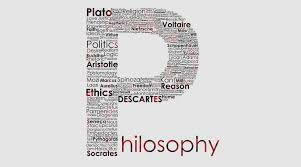 Remember, I am a philosopher! Philosopher’s Breakfast is organized by The School of Humanities and Social Sciences every month at The Writing Centre. To take part in the November Edition (to be held on 15th November), email: jbranya@strathmore.edu.